It is with great pleasure and honour to invite you to the International Instructor Course. To be held in Cardiff, Wales on Friday 31st May - 2nd June 2019. 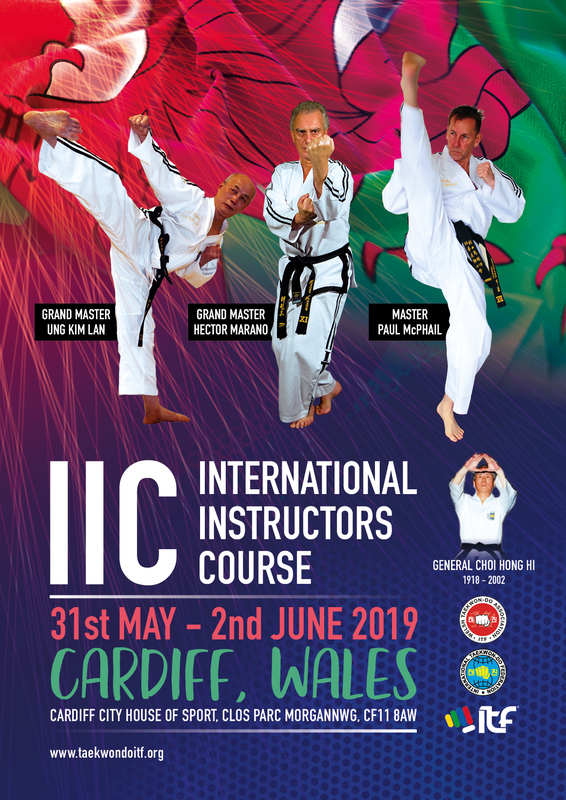 The IIC will be held at the Cardiff City House of Sport, Clos Parc Morgannwg, Leckwith, Cardiff, CF11 8AW. The IIC is open to all ITF members from 1st degree to 9th degree. Accommodation is available in the many hotels in the nearby city centre. Places on the IIC will be limited so book early to avoid disappointment and to guarantee places. The event is organised by Mr Neil Ernest and the Welsh Taekwon-Do Association.